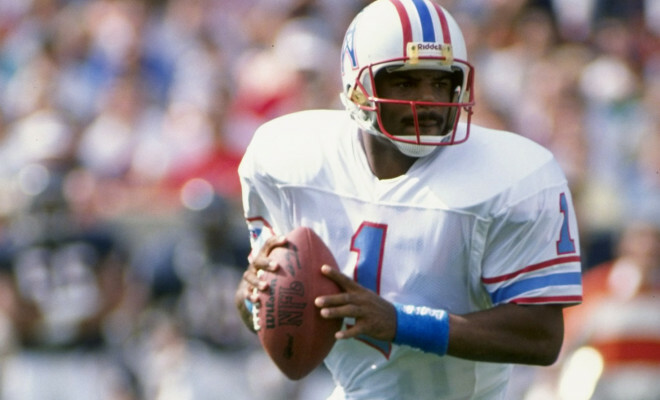 FORT WORTH, Texas (Jan. 15, 2015) – Pro Football Hall of Famer Warren Moon has been selected as the recipient of the 2014 Davey O’Brien Legends Award presented by Low T Center, the Davey O’Brien Foundation announced today. The award is given annually to a quarterback who has made outstanding contributions to the game of football both on and off the field. Moon, a nine-time Pro Bowl selection (1988-95, 1997) and a three-time All-Pro (1988-90), was elected into the Pro Football Hall of Fame in 2006, his first year of eligibility. He became the first African-American quarterback, as well as the first undrafted quarterback, to be inducted. During his 17-year NFL career, which included 10 seasons with Houston, three with Minnesota and two each with Seattle and Kansas City, Moon passed for 49,325 yards and 291 touchdowns. 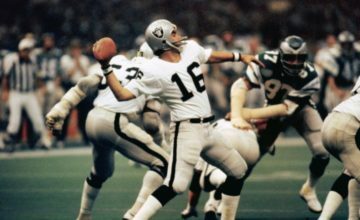 The Los Angeles, Calif., native threw for more than 4,000 yards in a season on four occasions and tossed at least 20 touchdown passes seven times. In 1990, Moon was named the NFL Offensive Player of the Year as well as the UPI AFL-AFC Player of the Year. He also claimed MVP distinction at the 1997 Pro Bowl. The Houston Oilers/Tennessee Titans’ career leader in passing yards with 32,684, he has had his jersey (No. 1) retired by the franchise. Moon was named the 1989 NFL Man of the Year, and also was honored as the 1993 Walter Camp Man of the Year and 1994 Bart Starr Man of the Year. His Crescent Moon Foundation, a 501(c)(3) non-profit organization, is dedicated to a number of causes, including providing support for educational pursuits that will benefit children in need who have displayed a commitment to their community. Prior to his NFL career, Moon played six seasons in the Canadian Football League, and led his team to five consecutive Grey Cup championships. He earned Grey Cup Most Valuable Player honors in 1980 and 1982 and was voted the CFL’s Most Outstanding Player in 1983. Despite spending his first six professional seasons in the CFL, Moon ranks seventh all time in NFL passing yardage and eighth in touchdown passes. Combined between the two leagues, he accumulated 70,553 passing yards and 435 scores. In college, Moon attended West Los Angeles College for two years prior to transferring to the University of Washington. At Washington, he was named the 1977 Pac-8 Player of the Year and Most Valuable Player of the 1978 Rose Bowl. In 2013, he became an inaugural member of the school’s Ring of Honor. Moon currently works as a broadcaster for the Seattle Seahawks on both television and radio. Moon will be presented with the Legends Award at the 38th Annual Davey O’Brien Awards Dinner on Monday, Feb. 16 at The Fort Worth Club. 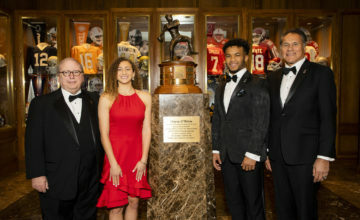 Also in attendance will be Marcus Mariota, the winner of the Davey O’Brien National Quarterback Award, as well as the recipients of the Davey O’Brien High School Scholarship and Charles Ringler Founder’s Award, which are to be announced. 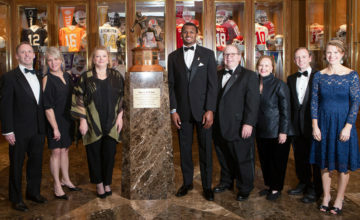 Established in 2001 to commemorate the 25th anniversary of the Davey O’Brien Foundation, the Legends Award recognizes a college or professional quarterback who has made a significant contribution to the game of football, distinguished himself as an extraordinary leader and demonstrated exemplary conduct on and off the football field. Past recipients of the award include Doug Williams (2013), Eddie LeBaron (2012), Jim Kelly (2011), Bob Griese (2010), Dan Fouts (2009), Joe Theismann (2008), Steve Spurrier (2007), Paul Hornung (2006), Len Dawson (2005), Archie Manning (2004), Terry Bradshaw (2003), Bart Starr (2002) and Roger Staubach (2001). A limited number of tickets to the black-tie awards dinner are still available. To find out more information or to purchase seats, call (817) 338-3497.